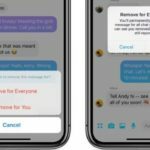 Facebook is launching the ability to remove the sent messages of Messenger users all over the globe. This app ability was first announced in 2018 but was only made available in certain countries. As of February 5, people can now delete a message on their own view or at the receiver’s end. 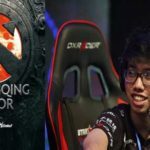 TNC Predator released a statement through their official Twitter account clarifying that neither Carlo “Kuku” Palad nor the TNC is banned from the Chongqing Major. Facebook will be competing against dating apps to help users find long-term relationships. Mark Zuckerberg recently revealed that Facebook will be rolling in new dating-service features. 100K Slots for DFA Passport Appointment are Open! Early of 2017, slots for passport appointment are closing one by one much to the frustration of many applicants. This did not change by the start of 2018 where an increase of over 100k slots was added but still, this addition did not cater every past applicant and even the new ones. Facebook rolls out Reddit-style downvote button to its users in New Zealand and Australia. This new tool lets the users to give their feedback about comments and tells Facebook whether the comments are disrespectful or has bad intentions. Our mobile phones increased function as time passed by. Once just a medium for call and texting, we now pretty much do everything with our smart phones. With all its functionality, we often see ourselves having our phone fully charged a priority.